must come to grips with, but why be down about it, instead be like thousands of Americans each year and get out there and complete that list. All those long anticipated activities that you just never quite got around to, but always wanted to do. But what if you don’t exactly have your own bucket list, but still want some great ideas to fill in the pages so to speak. Well that what this article is all about, giving you some great ideas about some really cool and exciting activities to add to your own bucket list. Getting a Tattoo: – Believe it or not this is the third most wanted activity from our polls, the idea of getting a tattoo, and breaking the lines of convention and tradition has strong appeal to many out there, and is almost like a last action to rebel against the conformity of society that would imply or suggest you not to get one. But practically speaking, it is probably one of the easier activities to complete, especially when paired against traveling to the poles or jumping out of an airplane. Remember, if you get a tattoo, it is permanent and you won’t be able to get it off your body. So make sure 100% you want this! Swimming with the dolphins: – This activity has gotten great acclaim over the years and continues to be of great demand to consumers, vacationers and just pretty much everyone who has ever wanted to feel the soft loving touch of a bottlenose dolphin. These activities can be found in many locations, Florida is renowned for their dolphin facilities, specifically located in Miami, Florida Keys Orlando and St Augustine. These faculties provide a once in a lifetime experience of swimming with the dolphins, where you can hold the dolphins, pet them, kiss them, play with them and best of all you can ride with the dolphins by holding on to their dorsal fine. It’s a phenomenal activity and one that every person should experience at least once in their lives. You can always visit these dolphin facilities to book reservations today. Take a Cruise: – This is another one of those activities that are just very easy to imagine. We have all wanted to go on a cruise on our lives, being out at sea, smelling the clean crisp ocean breeze and wind blowing in your face, not to mention the unlimited food and entertainment that these cruise lines provide, it’s a recipe for a vacation and relaxation. This activity is easy to obtain and accomplish, just look up some prices online, make some time in your scheduling and reap the benefits of a relaxing cruise to melt away all your troubles and cares. Miami is famous for Cruising. Check out this story. Getting Married: – This one surprised many of us, that is was so low on the polling list, but traditionally couples in the US are getting married at a later and later time, therefore its only logical that the importance or priority of this has declined in correlated succession with this observable trend. Nevertheless getting married is one of those things that everyone needs to experience hopefully only once in their life. Finding that special someone that completes you, and makes you happy to wake up each day is what its all about, experiencing all of life’s up’s and down’s together as one. It is an experience that we as humans were meant to have and it only makes sense it would make our top 10 list of things to do on the bucket list. As for me, God blessed me with a beautiful wife when I was 47 years old for the first time. I hate to say it was on my bucket list, but it was. The Casa Marina Resort in Key West would be a great place to get married. in that? I’m sure we would all rather go on a cruise or get married instead of running a marathon? But actually a marathon is popular because it says something about us that we are tough, that we can endure, that we can build and accomplish anything. It is an achievement, it’s a goal to set and achieve. It fills the spirit with accomplishment and allows you to reenergize yourself with the confidence that you are not a quitter, that you are not weak and that you can overcome any obstacle you set your mind to. That fulfillment is desired by many individuals and is an important construct in our social and psychological order. Needless to say why it’s in the top Florida Bucket list. The Disney Marathon is a famous and fun run to do. Check out here for more information. Go Zip Lining: – Here is one that most of you probably have never even considered. Zip lining, or an activity that consists of a pulley suspended on a cable, usually made of stainless steel, mounted on an incline. It is designed to enable a user propelled by gravity to travel from the top to the bottom of the inclined cable by holding onto, or attaching to, the freely moving pulley system. 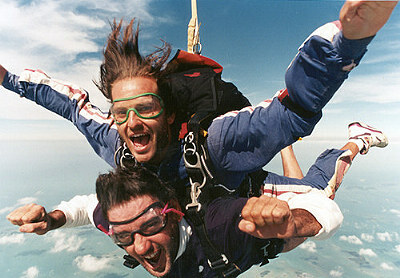 It’s a great way to get that adrenalin pumping. Its fun and exhilarating, a unique experience to say the least and one that will really make you feel accomplished by the end of it. You can not believe you can zip line here in Florida but you can. Click here to see where. 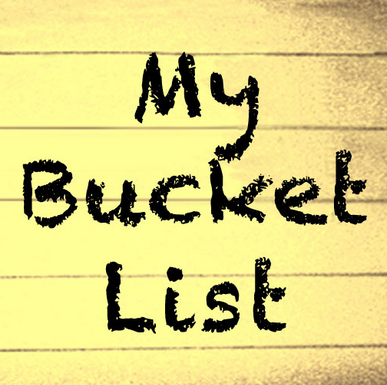 There we have our top ten kick the bucket list, a list of the top ten most rated activities that most people would like to see done before they kick the bucket. Take from the list what you can and even combine it with what you have already on your list. Everyone’s list is going to be different. We challenge you to make your own list that reflects your personal goals and achievements that you want to see done in your time. We all have that common destiny, but how we get there is all different and unique from each other. This list symbolizes dreams and goals that were once unfinished or never started, but embodies the human spirits endless hunger for accomplishment, thrill, excitement and a final sense that, yes, this was all worth the journey.